Mental and physical health-related quality of life (HRQOL) are important health impact measures following military deployment. While conditions such as post-traumatic stress disorder (PTSD) are known to adversely affect QOL, little is known about the effect of post-infectious functional gastrointestinal disorders (PI-FGID). Our aim was to evaluate the risk of PI-FGID and its impact on HRQOL among military personnel returning from deployment. 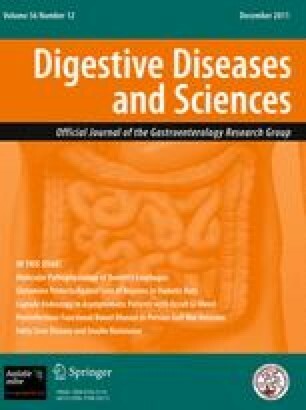 A cross-sectional cohort of active-duty military deployed to Egypt or Turkey between 2004 and 2005 was asked to complete a questionnaire (Rome II and SF-36 instruments) on travelers’ diarrhea (TD) during deployment and FGID symptoms and HRQOL 6 months after returning from deployment. A total of 121 military personnel returning from Egypt (n = 33) and Turkey (n = 88) completed the post-deployment questionnaire. Nearly half (48.3%) met the definition for an FGID at the time of the survey, and 53% of individuals reporting one or more episodes of TD during deployment developed an FGID, compared to 33% of those not reporting TD (odds ratio [OR] 2.2, P = 0.08). Compared to those not meeting the FGID criteria, those with post-deployment FGID had lower mean mental HRQOL scores (−13.4%, P < 0.0001) and lower physical HRQOL scores (−7.2%, P = 0.004). There was a high prevalence of FGID symptoms in military personnel returning from deployment, and TD was a noted risk factor. FGID and symptoms decreased QOL, with mental HRQOL being affected more than physical HRQOL. These findings require further research in order to assess the long-term impact of these and other post-infectious sequela related to TD during deployments among returning veterans. Disclaimer: The views expressed in this article are those of the authors and do not necessarily reflect the official policy or position of the Department of the Navy, Department of Defense, nor the U.S. Government. This is a US Government work. There are no restrictions on its use. There were no financial conflicts of interests among any of the authors. Copyright statement: Authors are employees of the U.S. Government and military service members. This work was prepared as part of official duties. Title 17 U.S.C. §105 provides that ‘Copyright protection under this title is not available for any work of the United States Government.’ Title 17 U.S.C. §101 defines a U.S. Government work as a work prepared by a military service member or employee of the U.S. Government as part of that person’s official duties. This work was funded under the Armed Forces Health Surveillance Center—Global Emerging Infections Surveillance and Response System research program (Work Unit Number 847705.82000.25 GB.E0018).